Whether heading north into Montana for your vacation or traveling south into Yellowstone or Grand Teton National Parks, the Park County Fairgrounds provides a perfect waypoint. By recharging in Livingston, you leave yourself wide-awake and well-rested to enjoy the gorgeous scenic routes of the the Parks and beautiful passages throught the mountains of Montana. NOTE: Camping is only available to those who are staying in association with an event being held at the Park County Fairgrounds. To park an RV in the Fairgrounds lot costs $25 per night and comes with complementary electrical hookup. The Fairgrounds provides stalling services including stall, feed, water, and care, making it easy to bring your horse to an event like a rodeo. Its proximity to Park High, Sleeping Giant Middle, and East Side Elementary also makes it easy to ride your horse to school for the day without the hassle of tending to it between classes or the worry of relying on the school system to look after it. To stall horses in the Fairgrounds stalls costs $15 per head per day. Need a venue for an event in Park County? Right here in the middle of the county, the Fairgrounds facilities boast ample parking space, a dining room and kitchens suitable for catering, a large exibit hall, and a grand-stand arena, proving its capability and capacity to hold whatever event you have in store. 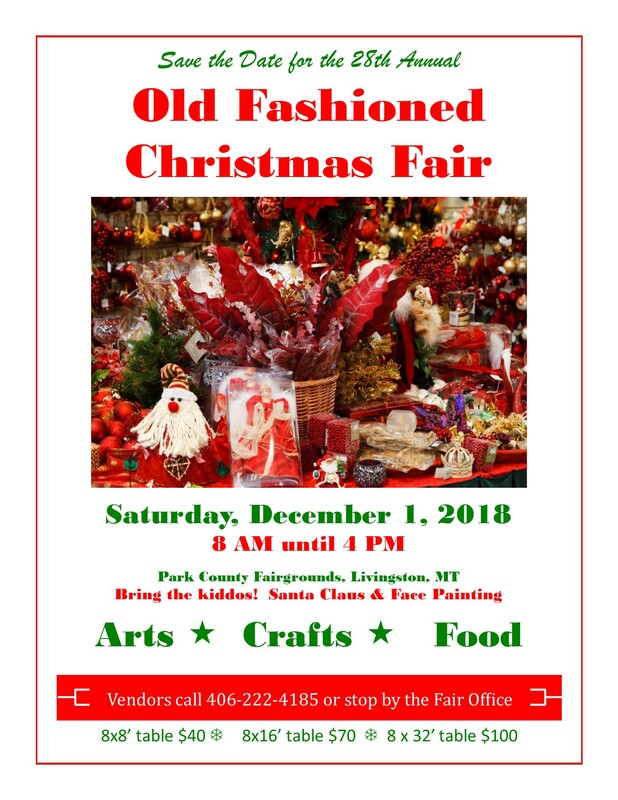 Let the Fairgrounds host your next Park County area event. For availability and pricing, call the Park County Fairgrounds Office at (406)222-4185.